A shocking video shows an attack on Winnipeg’s Health Sciences Centre hospital staff, but workers tell CBC News it’s all too common — and they need more support for security, on-site police and even metal detectors to protect against rising violence blamed on the city’s meth crisis. The 21-year-old man faces three assault charges and two charges of assaulting a peace officer. While the Winnipeg Regional Health Authority (WRHA) cautioned against “making assumptions” about what led to the incident, police and hospital staff said the patient was under the influence of methamphetamine. “Patients have tried to hit me. I’ve been kicked. Patients have tried to spit at us and bite us. Thrown things at us. Food trays at us. Knock medications out of our hands. Will throw juice on us. I’ve had my hair tried to be pulled. I’ve had my lanyard tried to be pulled, as well, and pull me towards them. I’ve had someone grab my breast,” said one nurse, who CBC is calling Lisa. Both nurses said they’ve seen the rates of violence increase incrementally with the boom of meth across the city in the past year. Meth addiction has grown to epidemic proportions in Manitoba, straining police, health care, EMS and other front-line services, as the drug is highly addictive and users behave unpredictably, sometimes violently. “It’s actually quite scary, you know, to come to work and not know if you’re going to get hit or, you know, punched or whatever the case may be. It’s not OK to assault somebody who’s just doing their job. And unfortunately, that’s just kind of the sad reality that we’re facing right now,” said the other nurse, who the CBC is identifying as Ruth. At the Health Sciences Centre, the number of RL6 forms filled out when there’s a violent incident — have already doubled compared to last year; 41 were filed in all of 2017, and 81 forms have been filed so far in 2018. “Probably on a daily basis they’ve intercepted a hit or a kick or a punch or stopped someone from grabbing me or pushing me or spitting on me. All I know is our security have saved me and will continue to save me,” she said. “There are real and significant limitations on the legal authority of hospital security officers to intervene in dangerous situations. Security officers are getting mixed messages from the government, the WRHA and their management,” said Manitoba Government and General Employees Union president Michelle Gawronsky. “I have not personally viewed this video, but I was tremendously saddened to learn of the assault of a nurse, as well as security personnel,” Friesen said in a statement. WRHA spokesperson Amy McGuinness called the attack on hospital staff “deeply troubling,” adding that a critical incident team offered support to workers afterwards. A review of what happened is underway. Police spokesperson Const. Jay Murray confirmed the patient wasn’t taken into custody after the first assault depicted in the video because he still needed medical treatment. After the second incident, police helped sedate and transfer the patient to a different area. They took him into custody the next day. 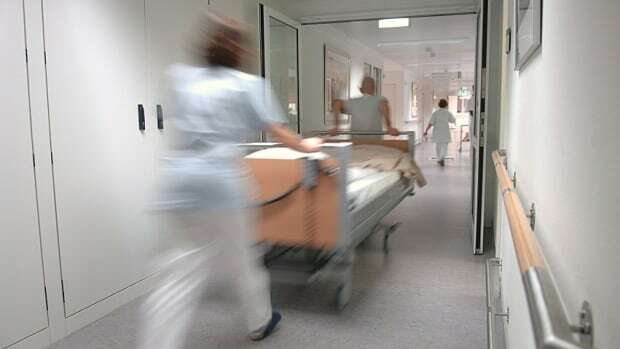 The nurses said it’s sad and frustrating to see patients with mental illness and addictions returning time and again to the emergency department and not finding the support they need in the community either. “This is a real problem that our city and probably every city in Canada is facing,” said Ruth. But both said their own mental health has suffered as a result of the violence. Their passion for nursing and helping people is being overshadowed by how dangerous it’s become, they said, and they’re reconsidering their career choices. “There’s not a day that we go into work feeling safe. There’s not a time that we ever feel safe. We can’t have our guard down at all. A patient is going to be more seriously injured, a nurse is going to be more seriously injured. Someone could die,” said Lisa.